There is a bit of a frenzy with the release of “Tidying Up” program on Netflix. Decluttering is fabulous. Releasing is freeing. Getting motivated is marvelous. But for those already dealing with the overwhelm of having “too much stuff,” I urge you to recognize there’s more to the story than can be conveyed in a 30 or 60 minute show over six or eight episodes. Have the emotional and physical support you need before tackling big projects. Allocate enough time to start AND complete the project (or at least be able to identify clean stopping points). Use your peak energy hours to tackle big projects. You might be surprised how mentally and physically taxing getting organized can be. Make sure you are prepared for the emotional side-effects of “letting go.” It is not usual for raw emotions, tears, guilt, and even anger to come to the surface during the letting go process. Arm yourself with the tools you need to successfully complete the task. 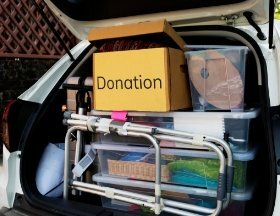 Refrain from buying a carload of organizing products before knowing exactly what you need. Very often, you already have things on hand that can be repurposed once the purging has commenced. Bringing a bunch of new supplies into the mix only adds to the chaos. There are a ton of decisions to be made. There must also be a commitment to start AND finish projects. 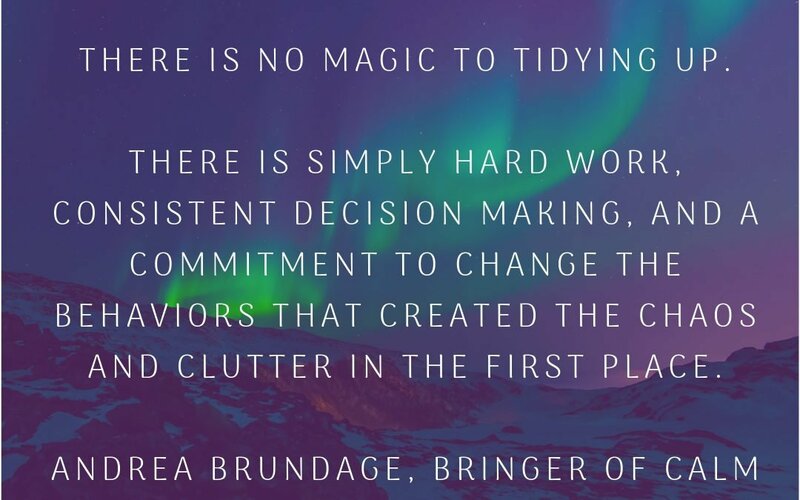 And long-term organization calls for a commitment to change the behaviors that created the clutter and chaos in the first place. There is also help. I wish you the best as you set out to turn your chaos into calm. After working with hundreds of clients, I can assure you, getting organized in theory is simple, but simple is not necessarily easy. If you need help or support at any point during the process, please reach out to me. If you want to work with me or if you have any questions, complete my Get Started form here or call me directly at (480) 382-1085.